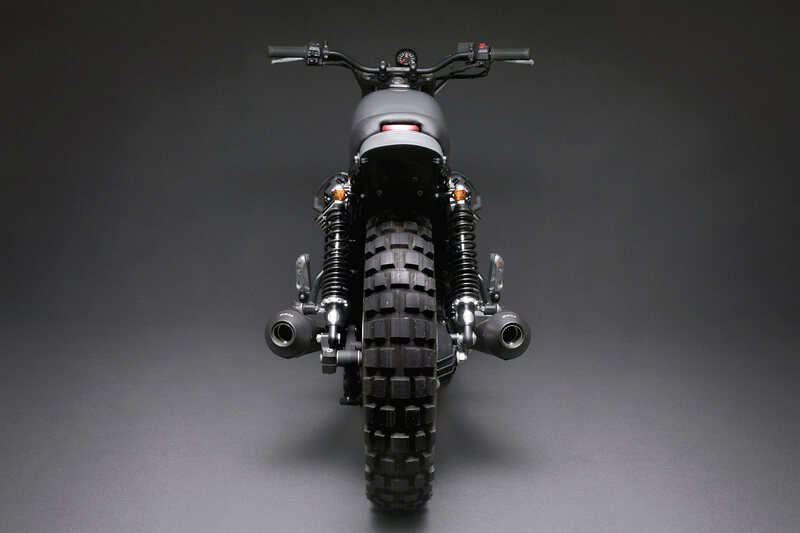 As cool as it is to see a build that screams ‘custom,’ there’s something to be said for a project that looks like it rolled off a factory floor. Some of us want to keep our frames standard, some of us want to be able to find replacement parts and some of us want to avoid carpal tunnel syndrome and piles. 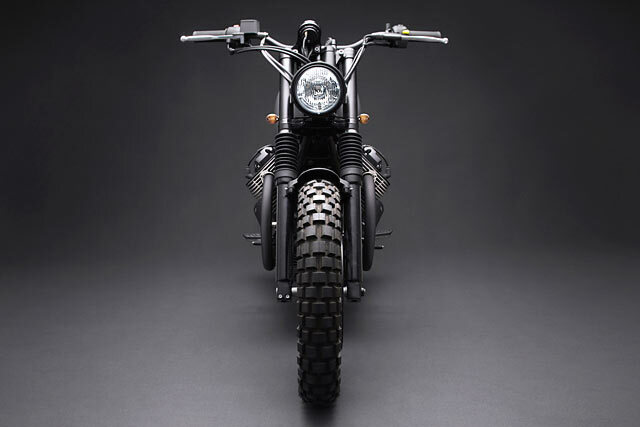 Thankfully there are builders like New York’s Venier Motorcycles, who have taken a different angle with their ‘Tractor 05’ – a sweet little 2015 Moto Guzzi V7 Scrambler designed to look like it rolled off the factory floor. 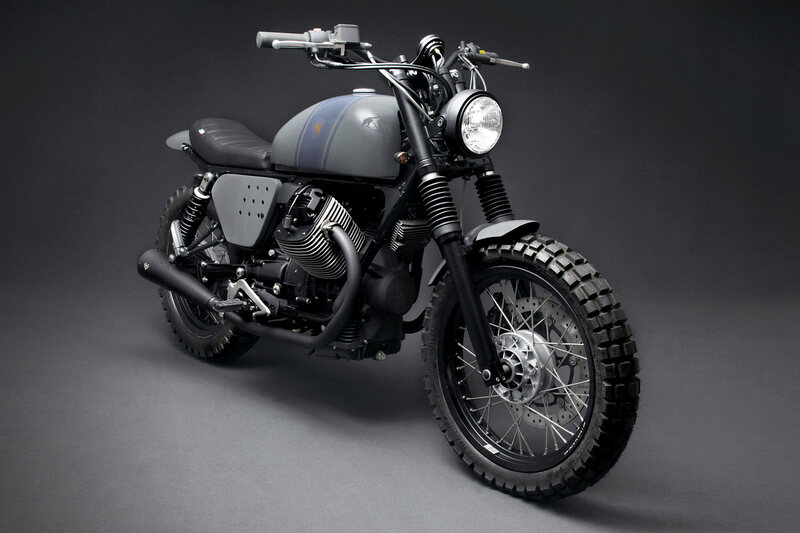 Now before everyone gets their knickers in a knot we know Moto Guzzi have tried doing the scrambler thing before. In 2015 Mandello del Lario released a confused-looking ‘Stornello’ scrambler model to mild applause. Designed as a limited edition it also held limited appeal, with a bland looking paint scheme and underwhelming, circuitous exhaust system. 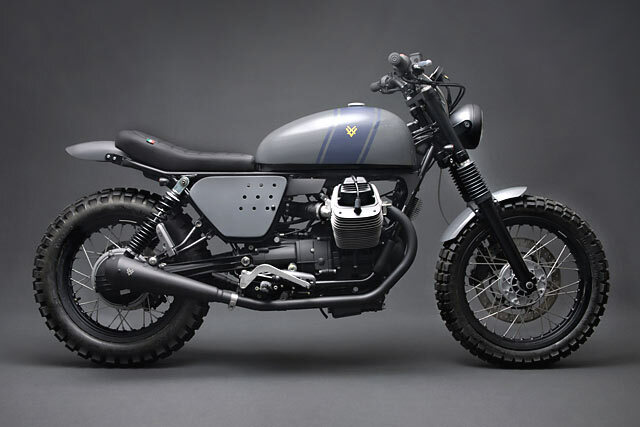 So while BMW and Triumph have continued to make factory Scramblers, Moto Guzzi have thrust their hands into their pockets and wandered away from the off-road scene. Which is a shame, as the Guzzi’s produced today are sweet little things and a bucket of fun to ride around. But what if they were to release one again? 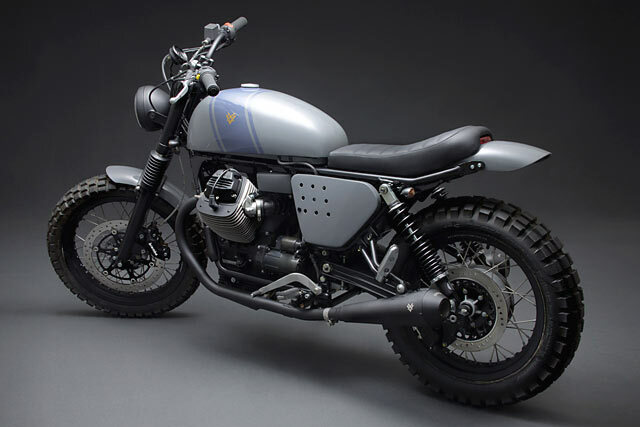 Venier Motorcycles decided to tackle the concept of a small block scrambler with a whole lot more subtlety and eye for design than the team at Guzzi were able to muster. 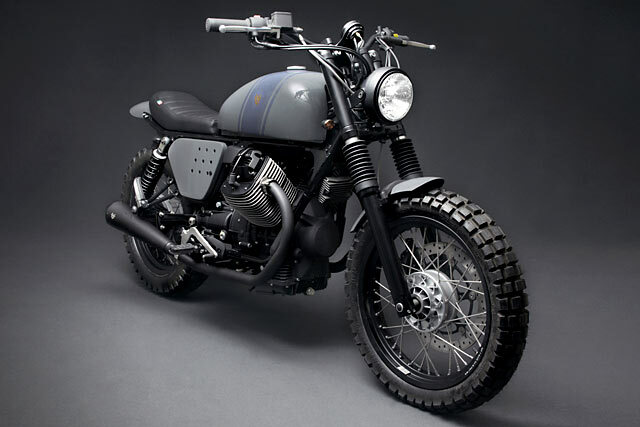 ‘The build is my take on what a Moto Guzzi Scrambler should be,’ head of Venier Motorcycles, Stefano Venier, says. ‘That’s why I didn’t modify the frame and it’s still a comfortable two-seater. 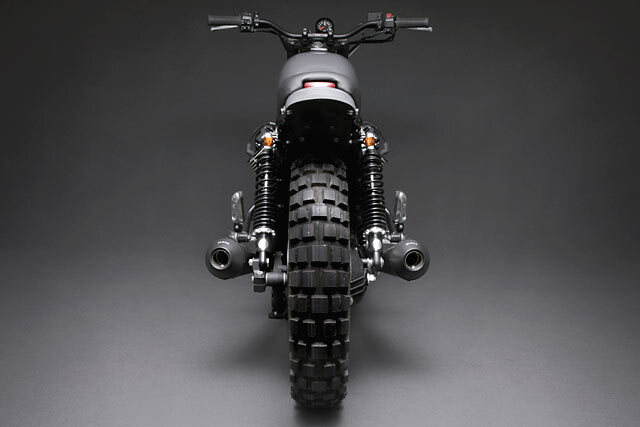 This is something that could be built at the Moto Guzzi factory’. Hint hint? So firstly working from hand drawn sketches, then in Photoshop, Stefano began planning the build. The first and most obvious alteration was the aluminium body work. Starting with cardboard mockups and then onto sculpted foam, the tank was designed and beaten into shape by Stefano. 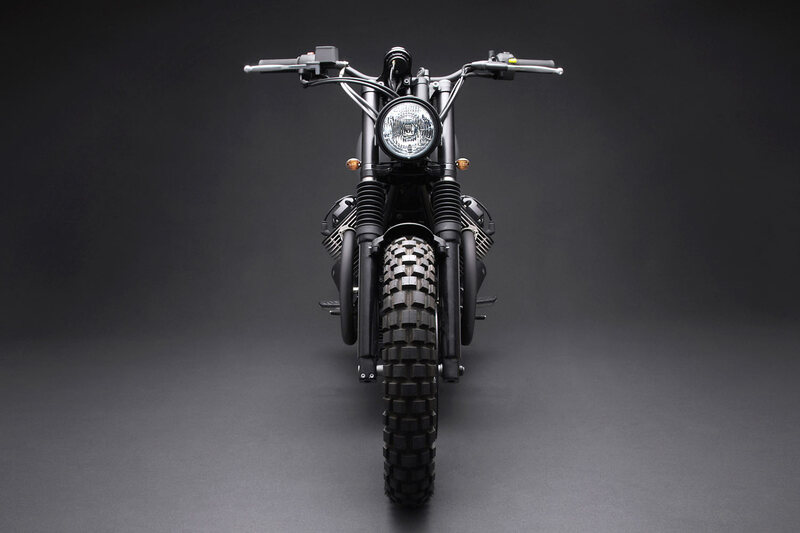 Elongated and reshaped, the new tank changes the lines of the bike dramatically. 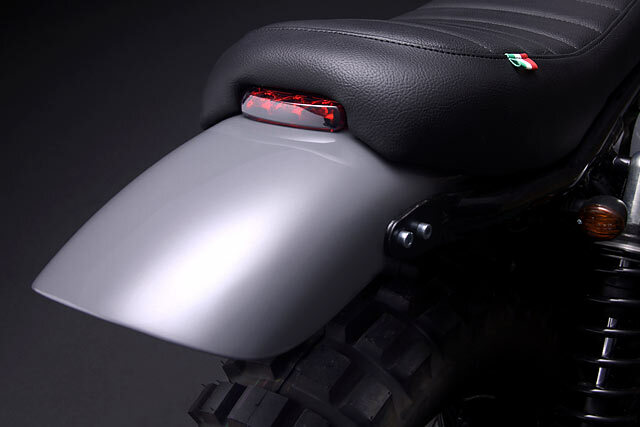 Behind that, an entirely new tail section was crafted, with the Italian leather seat holding a recessed LED tail light. 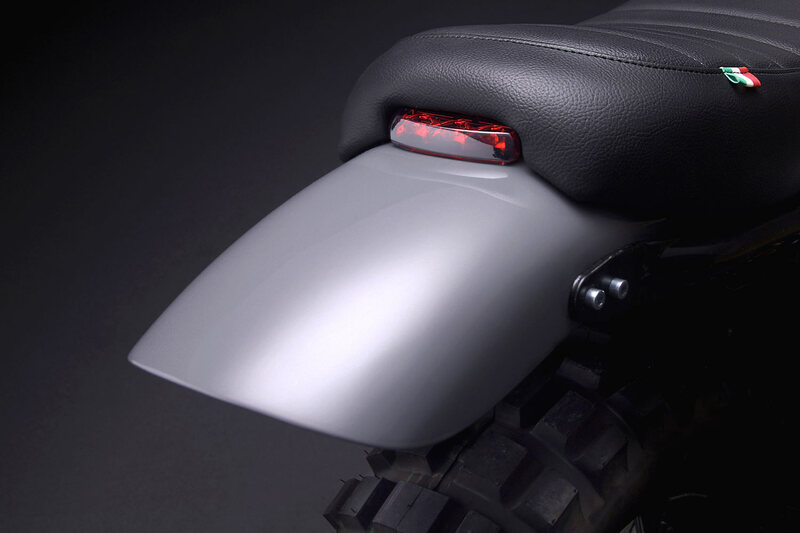 Up front the Guzzi now runs a 4” headlight with custom brackets and black aluminium handlebars and new grips while a GPS Customs speedo takes the place of the bulkier stock unit. 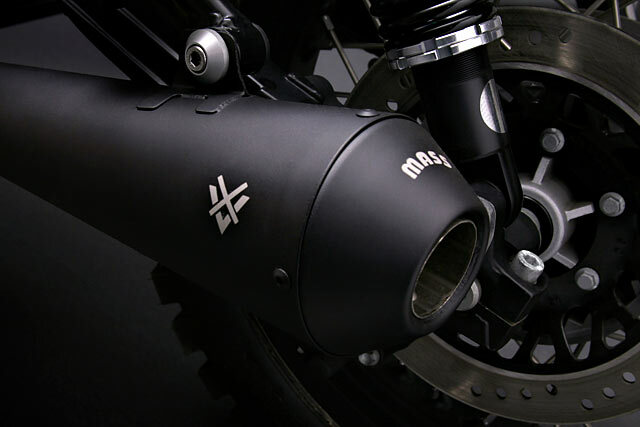 Keeping everything thrumming along is an exhaust system manufactured by Mass Moto in Sicily. 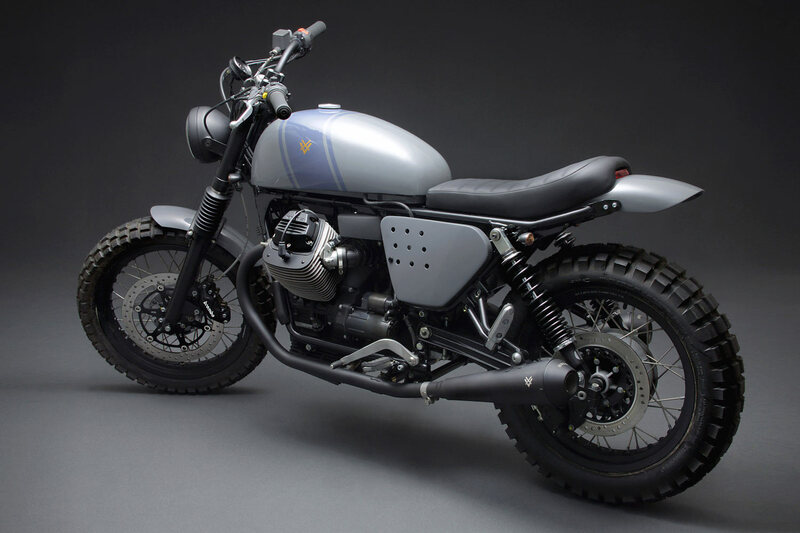 All that work has the Tractor 5 looking like one of the best Guzzi’s Guzzi never built. It’s carefully considered, well designed, beautifully finished and looks like it rolled off the factory floor. ‘We designed the bike more than we “built” it,’ Stefan hastens to add. It’s a tough mix getting the custom and factory blend just right but he’s made it work beautifully. 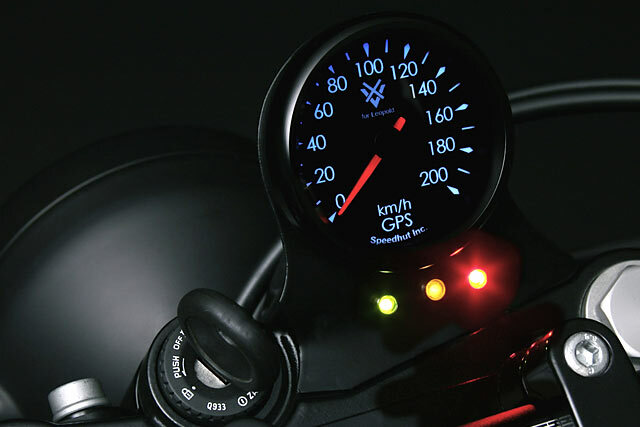 Over the coming months there will be more motorcycles coming from the team at Venier – they’re currently working on a few more Moto Guzzis, a couple of Ducatis and even a BMW. So keep your eyes peeled on their website. Hell, while you’re there take a look at their own line of apparel, with some sweet looking shirts and a gorgeous leather jacket – designed by Veronica Sent, they are available to tide you over until their next custom bike gets wheeled out into the world.